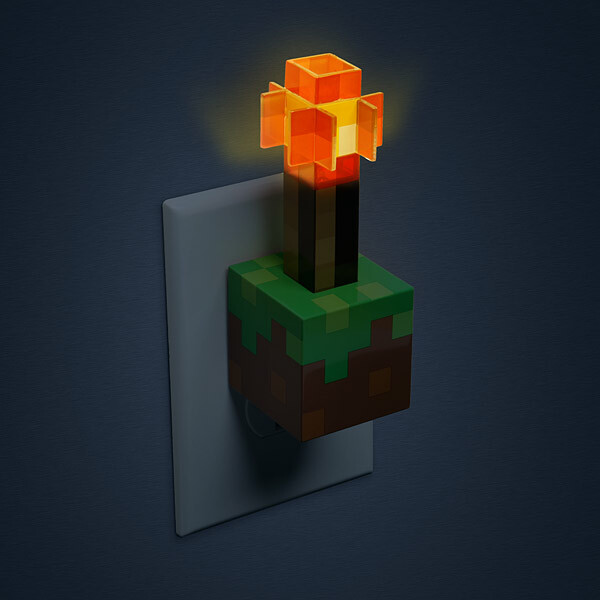 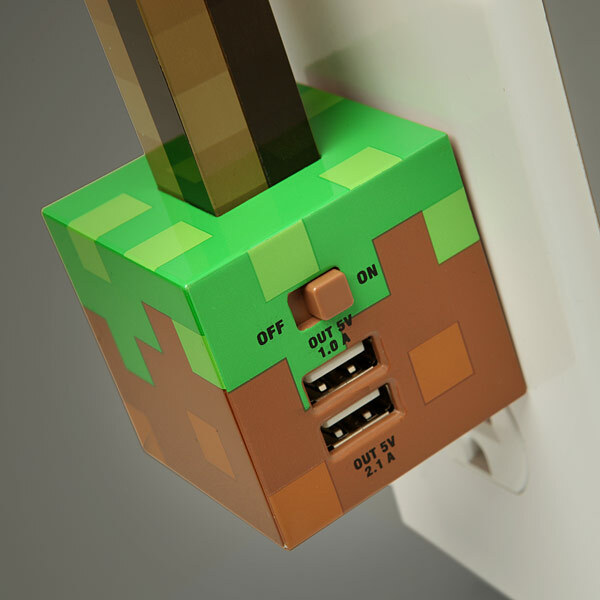 This Minecraft Redstone Torch USB Wall Charger is a great way to celebrate your favorite game. 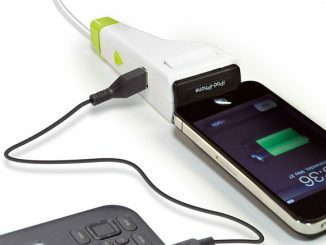 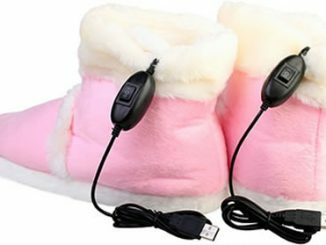 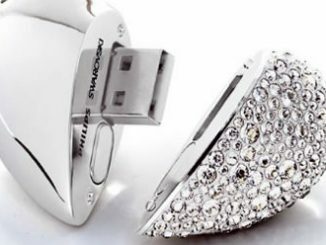 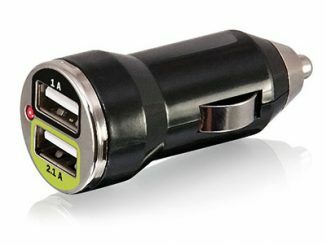 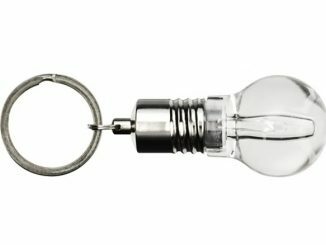 It functions as a mini light and will also charge two devices at the same time. 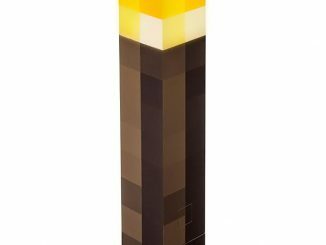 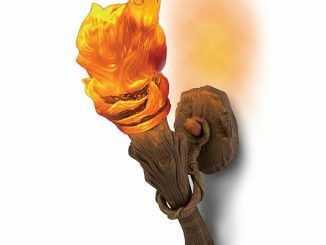 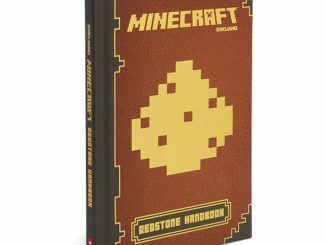 It features an orange LED bulb in the top of the redstone torch.